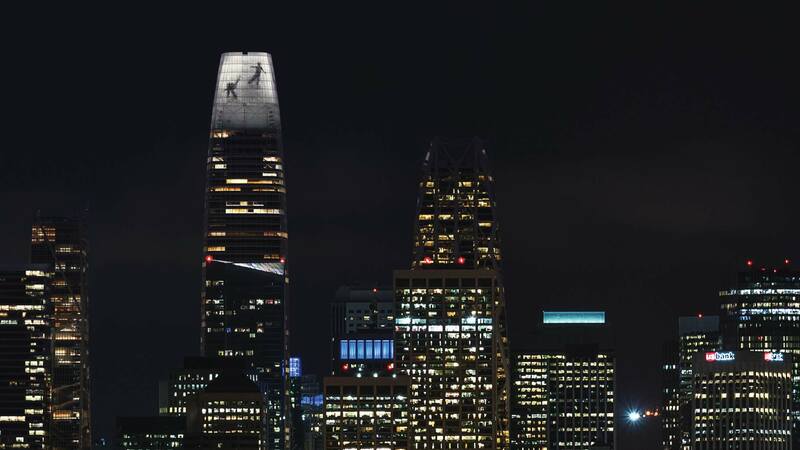 Salesforce Tower’s nine-story steel topper is set to light up San Francisco permanently starting tomorrow night, as video artist Jim Campbell’s enormous animations will start broadcasting from the top. 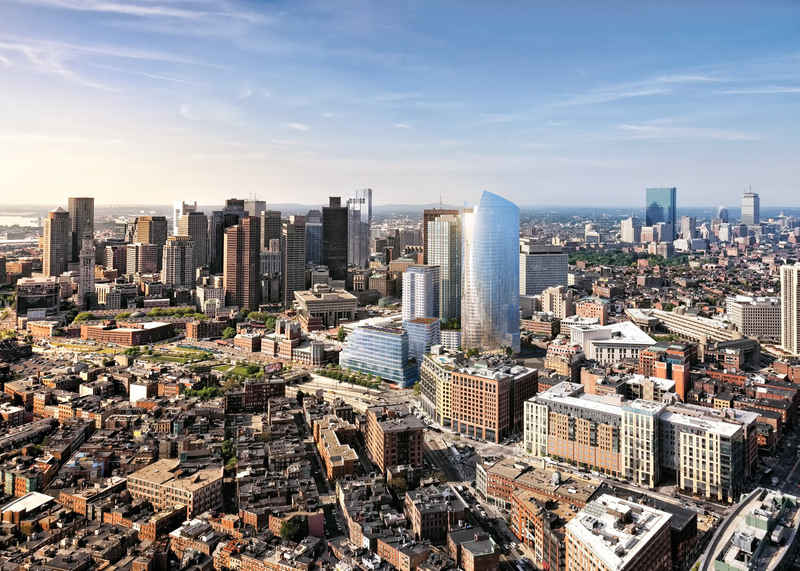 The tower’s 130-foot-tall, Pelli Clarke Pelli Architects-designed crown is hollow and has been clad in perforated aluminum panels–ostensibly to lessen the bullet-shaped building’s impact on the skyline. Using imagery from cameras scattered around the city (and 11,000 LEDs inside of the crown), Campbell will translate traffic, the sky, and each night’s sunsets into a public art piece visible for 20 miles in every direction. The fleeting, ephemeral images are an ode to the city’s vibrancy and energy. During a test run last Wednesday, giant ballerinas could be seen dancing across a beige background over 1,000 feet in the air. The tower’s signature piece, Day for Night, will start by showing the colors of that night’s sunset, followed by constellations against the night sky until the sun rises again. 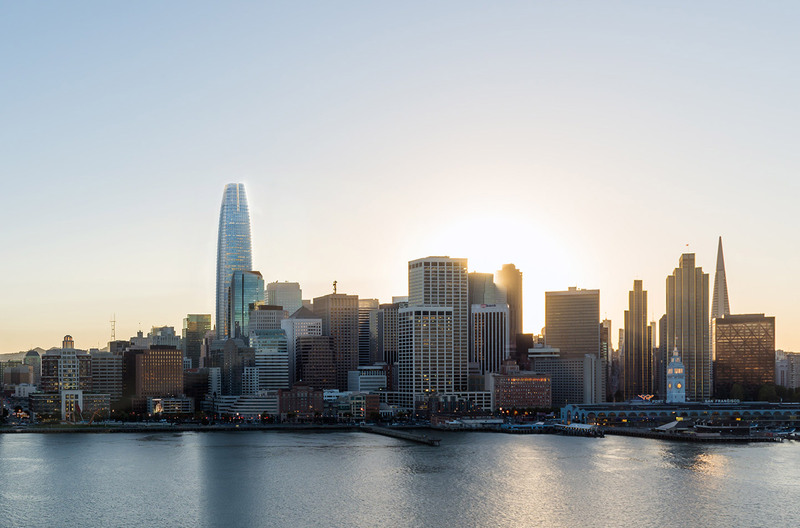 While the top nine floors of the Salesforce Tower are unoccupied and were used to push the building into “tallest in San Francisco” territory, only the upper six floors will be used to stage Campbell’s installation. The remaining three will hold the required equipment and will be bathed in a strong light to form a base for the animation above. While the punctured panels could theoretically show any images, Campbell swears that his work won’t be used for advertisements or to mark holidays. As for the electricity use? It’s the same as “five toaster ovens,” Campbell told the San Francisco Chronicle. 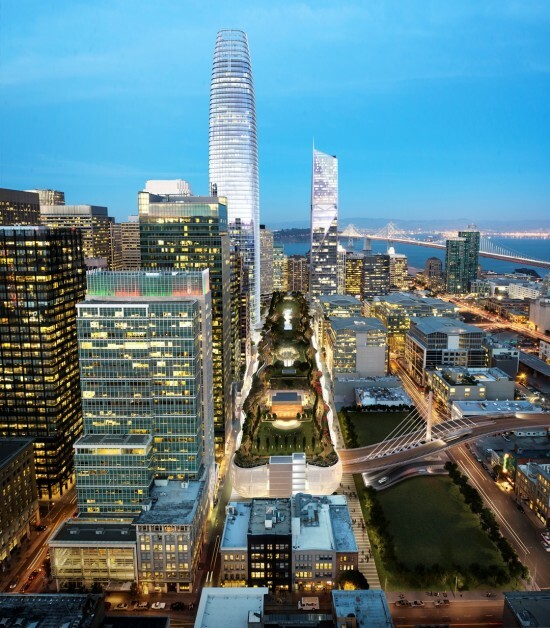 The developers, designers, and engineers behind Salesforce Tower will be presenting on their work at the next Facades+ conference in San Francisco, taking place on June 7.
slated to begin as early as 2018 and the site pad for CBT's 480-foot residential tower is currently under construction and is scheduled for completion in summer 2020. Further construction deadlines are yet to be finalized because they are predominantly market-driven, however, Varanasi speculated that the garage should be in its final stage by 2023. This article appears on HoverPin, a new app that lets you build personalized maps of geo-related online content based on your interests: architecture, food, culture, fitness, and more. Never miss The Architect’s Newspaper’s coverage of your area and discover new, exciting projects wherever you go! See our HoverPin layer here and download the app from the Apple Store. 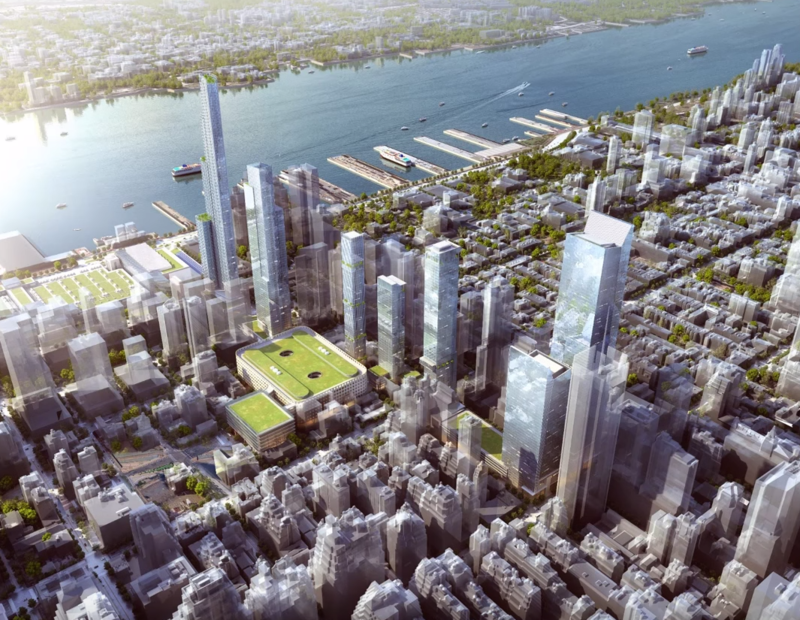 Designers and doctors know instinctively what science now confirms: design that connects people to light, air, and green space reduces stress and facilitates the healing process. 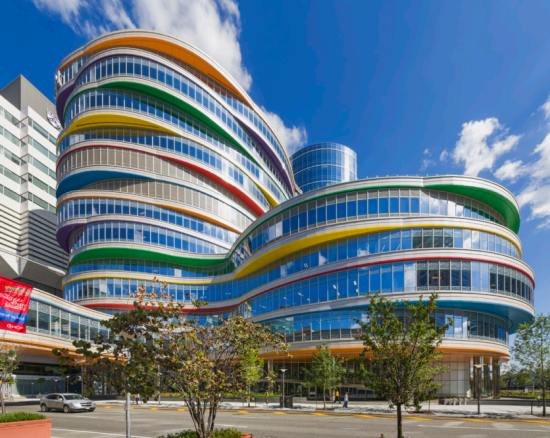 Putting research into action, the Children's Hospital of Philadelphia's tapped New York's Pelli Clarke Pelli Architects to design the Buerger Center for Advanced Pediatric Care at the hospital's main campus in West Philadelphia. 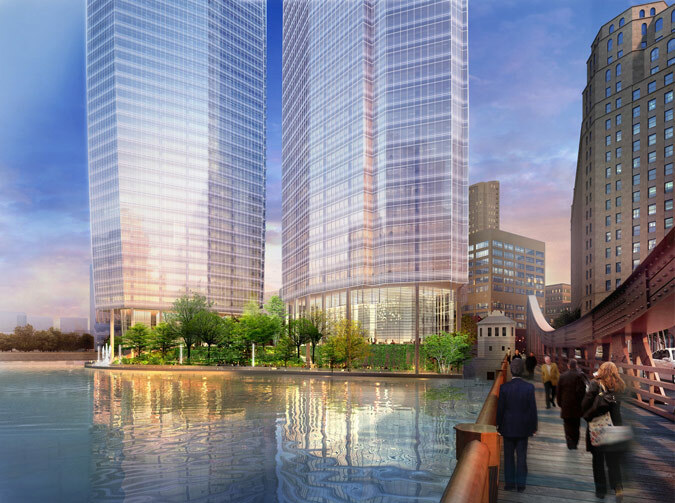 Houston-based FKP Architects is the architect of record. The 700,000 square foot outpatient facility is comprised of a rectangular, 12 story main wing, and a connected six story wing of Jetsons-esque stacked floors whose bottoms are painted bright red, yellow, green, and blue. A 14,000 square foot roof garden on the top gives patients access to fresh air and a space to play, while a 2.6 acre ground floor plaza is partially planted with medicinals for complementary therapeutic use. In a statement, founding principal Cesar Pelli noted that "depicting the playfulness of children helps reinforce the idea of a positive medical experience." Inside, playful curvature guides eyes to the outside through banks of glass windows, while ramps and welcoming wayfinding signage guide patients and their families through the facilities. The Buerger Center features spaces unique to children's hospitals, including a mock MRI machine that helps health care workers prepare children for the sometimes claustrophobia-inducing procedures. The facility will serve approximately 200,000 young people annually. Specialties are grouped by level. Levels two through five opened this year, while levels six and seven will open in 2017. 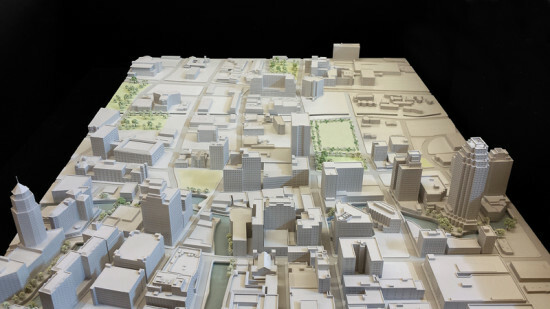 On the heels of designing Dallas’s McKinney & Olive tower, his first in the city, Cesar Pelli snagged a competitive proposal as the architect of the Shraman South Asian Museum and Learning Center. 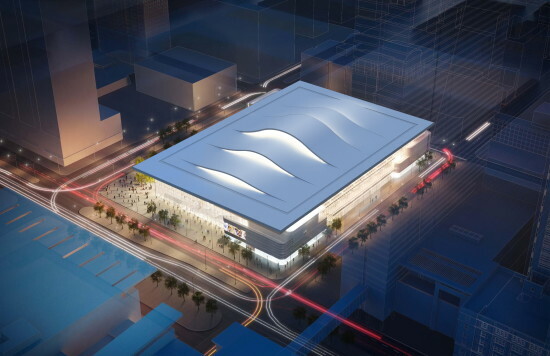 The new museum will be located at the corner of Woodall Rodgers Freeway and Field Street in downtown Dallas. 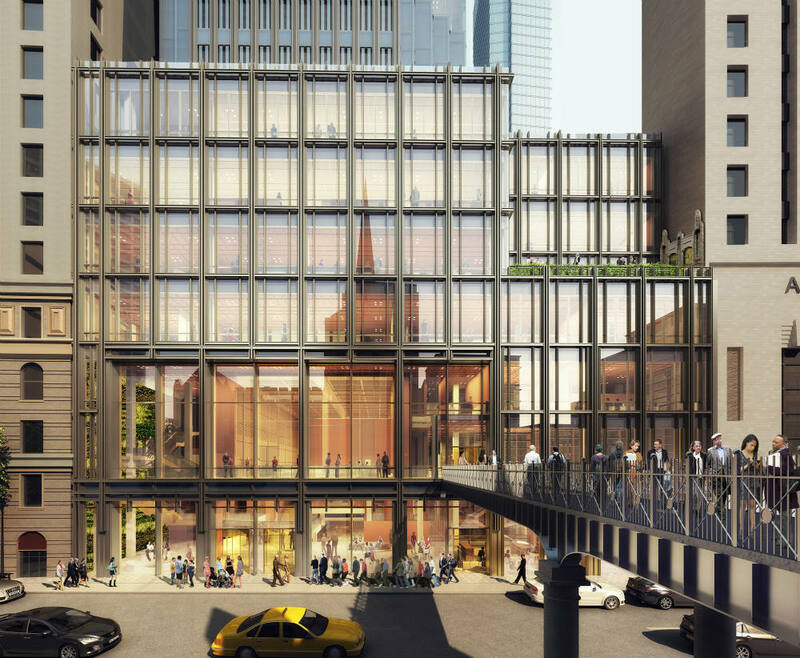 Specific details on the museum have yet to be released, but it will be the first museum in the United States exclusively devoted to South Asia; much of the collection will be focused on India. 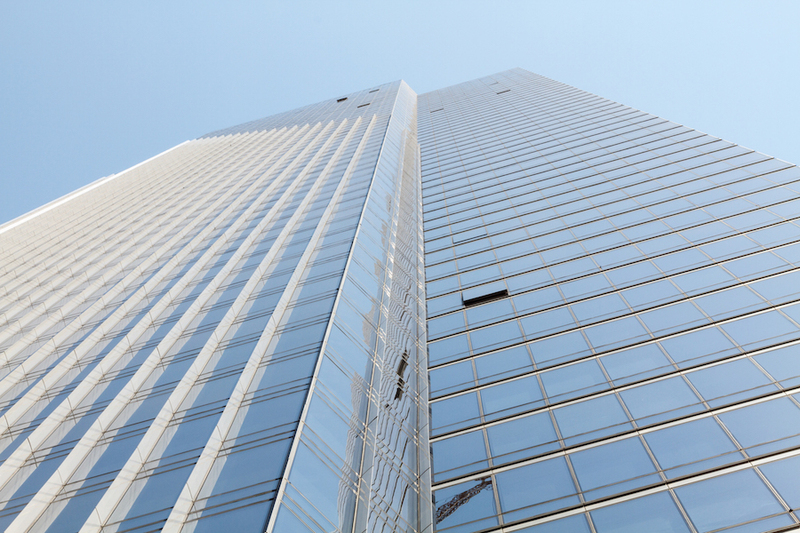 Although Pelli is best known for building some of the tallest towers in the world, the museum is not intended to be a skyscraper, but rather a new cultural addition to the burgeoning area. 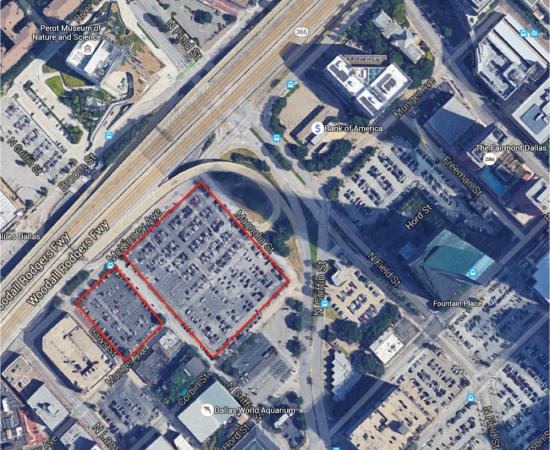 The proposed 4.7-acre site will be a few blocks away from the Perot Museum of Nature and Science and the not-yet-completed Victory Park complex, making it one of several exciting new additions to the neighborhood.